Any person creates rubbish. However, the disposal of our trash and waste can be different. Some people recycle it. Others burn trash in a five-gallon drum. Some others throw it away in the nearest trash can. Yet, bio-medical waste is not your “normal” trash or waste. Actually, the way of medical waste disposal may differ from state to state according to their laws and regulations. People who fail to dispose it properly may have to pay hefty fines. Everyone should be careful not to make mistakes during the disposal of their facility’s biomedical waste. While handling medical waste, it is very important to follow rules and regulations. These rules don’t harden your job it just cares of your and the others’ around you. 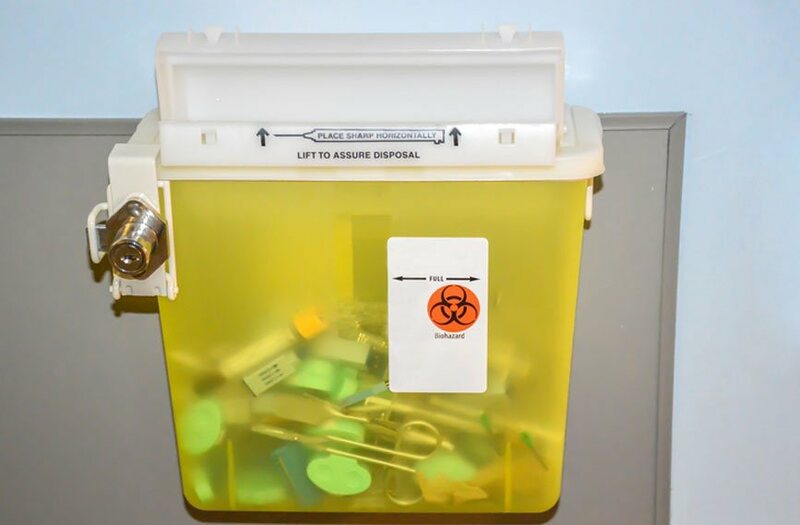 If your facility handles biomedical waste, you have to know the specific guidelines set forth by OSHA, your state of operation, and the government. At Glycon, we understand the importance of staying compliant. We offer online OSHA training to help your employees stay safe and keep your facility from getting fined due to non-compliance. It doesn’t make any difference where you work as it is important to provide corresponding training to your staff members. It will not only hinder your employees what they are expected to do but it also prevents confusion later on if something does come up. In addition to offering online OSHA training, we can also work with you to create a DOT Approved Biomedical Waste Plant hat is customized to fit the needs of your facility. These plans, along with proper training, help keep your team, our team, and the public safe from potentially infectious wastes. As some medical waste have infectious nature, the waste must be thrown into the correct containers. You cannot throw medical waste in a regular trash can close to your desk or put used needles in an old gallon milk jug. It is also important to label medical waste containers in a right way. This helps to identify what types of waste go into what container. When you need to refer to biomedical waste disposal services, you cannot just hire anyone. In order to keep your business developing and your facility compliant, you should hire a licensed biomedical waste service. From medical facilities and hotel chains to tattoo parlors and manufacturing facilities, we offer dependable and affordable waste management. As we have over 5 years of experience and are licensed to operate within the lower 48, you can feel confident in your waste management choice. Glycon is here to help you with all your medical waste disposal needs. Wherever you are either in North Carolina or in Southern California, Glycon provides services from coast to coast. With consistent and competitive pricing, were always ready to help you find the right medical waste disposal solution to meet your needs. Some people while hearing the term “bio-medical waste” would think of the antagonist in that one sci-fi movie you meet and watched because you were bored or couldn’t find the remote. However, most medical waste is no longer harmfulcompared to regular waste we produce on a daily basis. Still, the large amounts of bio-medical waste should be taken seriously, and as there are some types of medical waste, which can be harmful and even infectious to humans, bio-medical waste services are necessary. Below you will find a thorough explanation on why bio-medical waste services are necessary. Biomedical waste may harmful to population because of its content. All medical waste, especially waste from hospitals and clinics must be handled regarding that the waste is or could be infectious to people. Some biomedical waste items having infectious impact to humans are any items which contain blood, items containing bodily fluid like catheters, gloves, cultures, bandages, gauze, etc.. The waste like this must be disposed of properly so that unaware humans do not have any contact with them. Biomedical waste is harmful both to people and to animals and the overall environment in case if it is not disposed of properly. The quantity of the waste produced by hospitals alone is increasing every day. Considering that 15% to 25% of all medical waste is biomedical, infectious waste, it must not only be removed from sites properly but it must also be disposed of properly. If waste is not disposed of properly, it can contaminate the air, water, and even the soil. This may result to infectious rodents and insects that can transmit diseases. Laws on biomedical waste disposal and biomedical waste services are becoming more strict because authorities became to understand the possible dangers associated with biomedical waste, medical waste removal, and medical waste disposal. We not only appreciate the safety of our own employee sat Glycon, but we also value our clients’ safety. 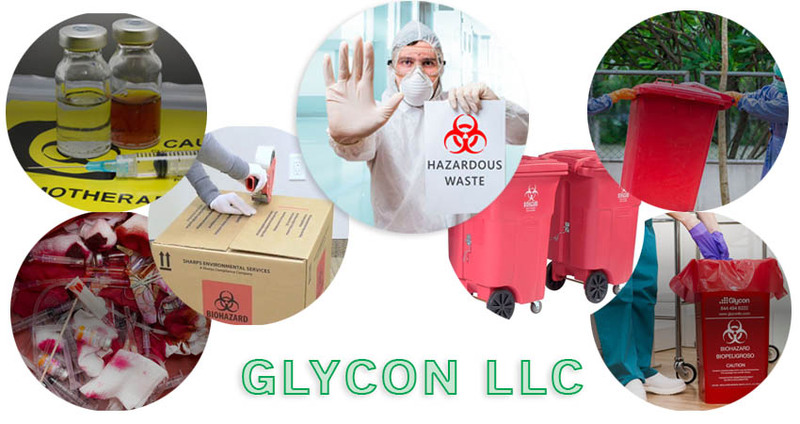 Glycon offers OSHA certifications at the click of a mouse to help your business/industry learn more about workplace safety when it comes to biomedical waste so that you don’t receive costly penalties. As we are already aware biomedical waste can be very dangerous and harmful to humans and the environment, and potentially infectious, however it won’t turn into a green slimy monster that takes over a small suburban town. If you are in charge of a hospital, not very big clinic, veterinarian office, dentist office, or any facility and institution that produces biomedical waste in the result of your job duties, Glycon is always here to assist you.